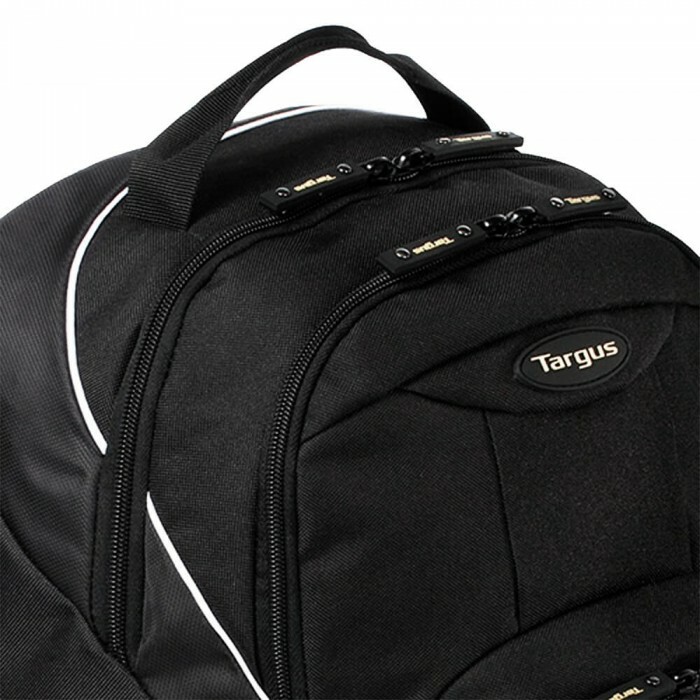 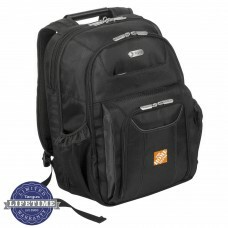 The Targus Motor Backpack is designed to accommodate laptops with up to 16” screens and features pen loops, an interior cell phone pocket and convenient clip to hold a key-ring. 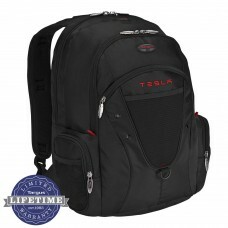 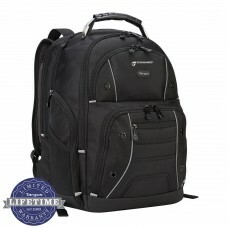 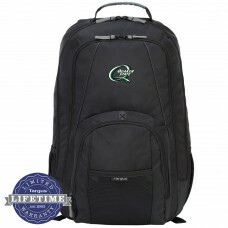 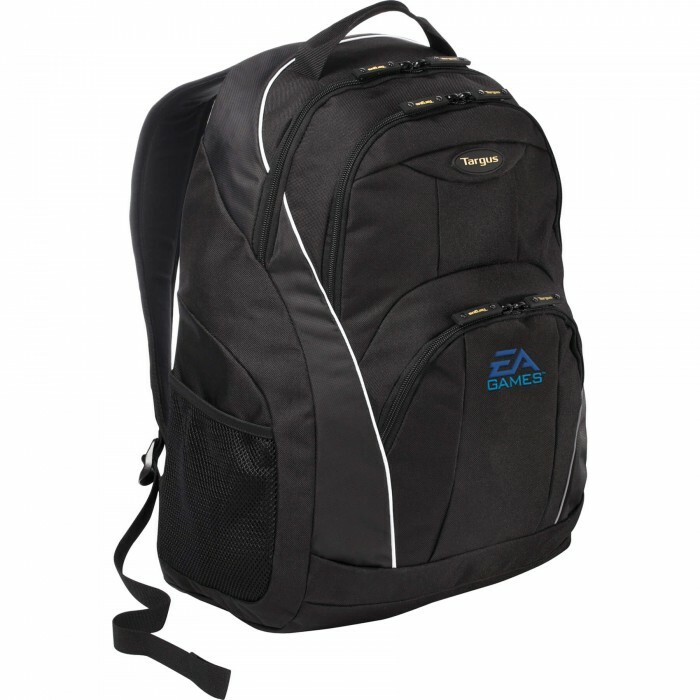 The shoulder straps are padded and adjustable to provide customizable comfort. 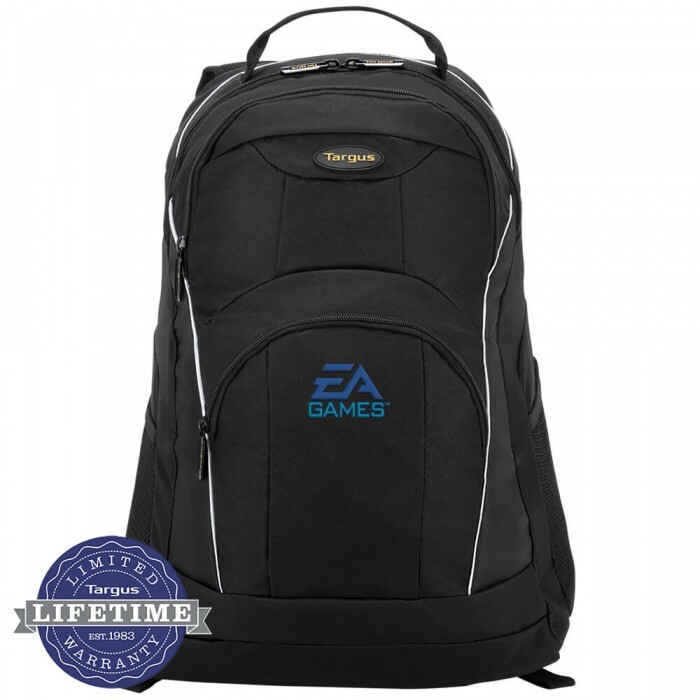 For added convenience the case features two large compartments, one includes the padded laptop compartment with additional space for files while the other can fit larger items such as binders or books and includes a mesh pocket to store accessories. Constructed of black durable polyester material with yellow and white highlights, the backpack offers a hint of color with plenty of compartments to store day-to-day necessities. 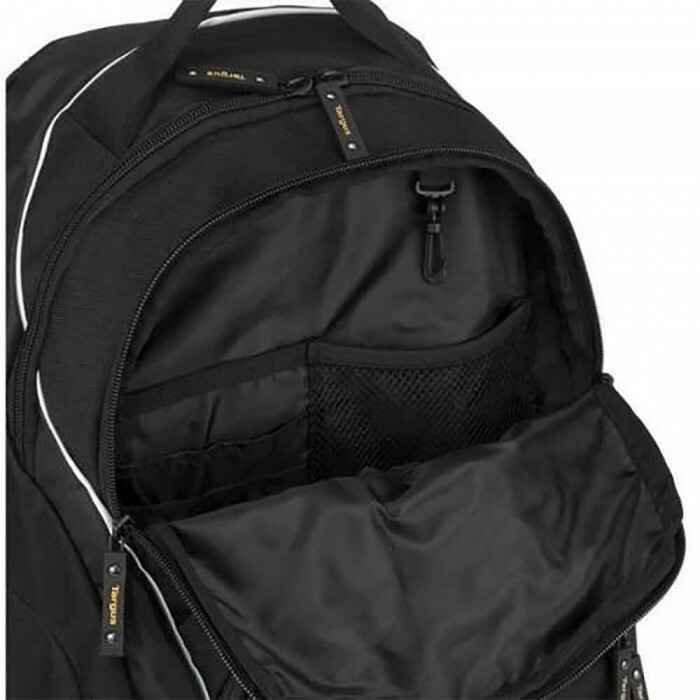 Size: 12 3/4W" x 18 3/4H" x 9D"